Upon purchasing any shuttle bus you will recieve full training on the functionality of the bus and its equipment. When the safety of others in your hands, you want to be assured that you are knowledgeable in all areas of your vehicle. 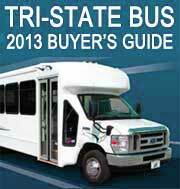 Tri-State Van & Bus offers driver training to help you be assured that your passengers will be safe.